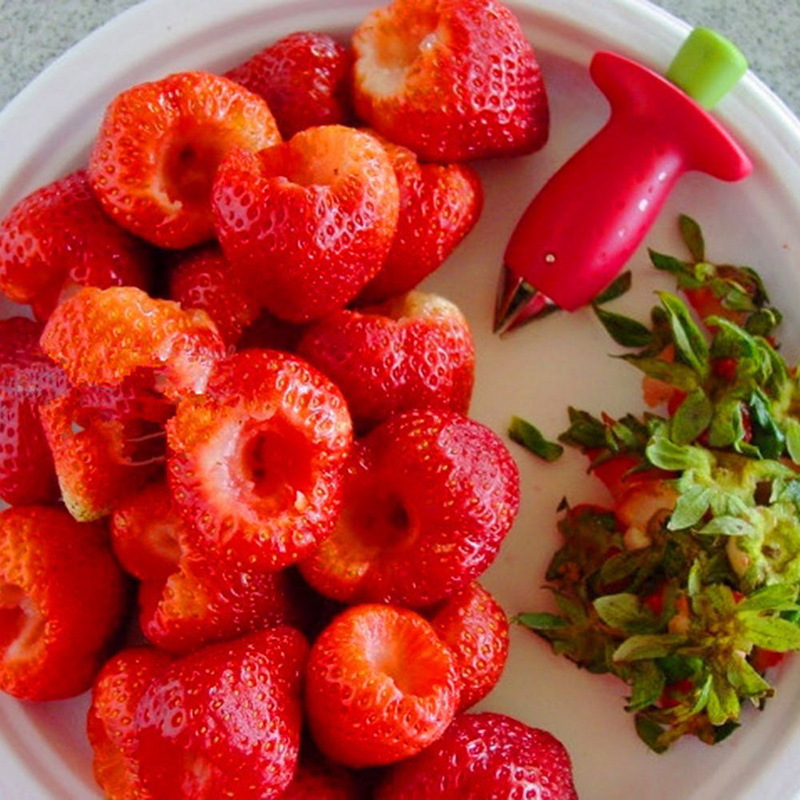 The Amazing Strawberry Core Remover Gadget! Do you love strawberries but hate cutting out the stems from strawberry without wasting a part of the strawberry? We've found the perfect tool for you! The Strawberry Core Remover is an ingeniously simple and handy device that removes the stem twice as fast while leaving as much fruit as possible. 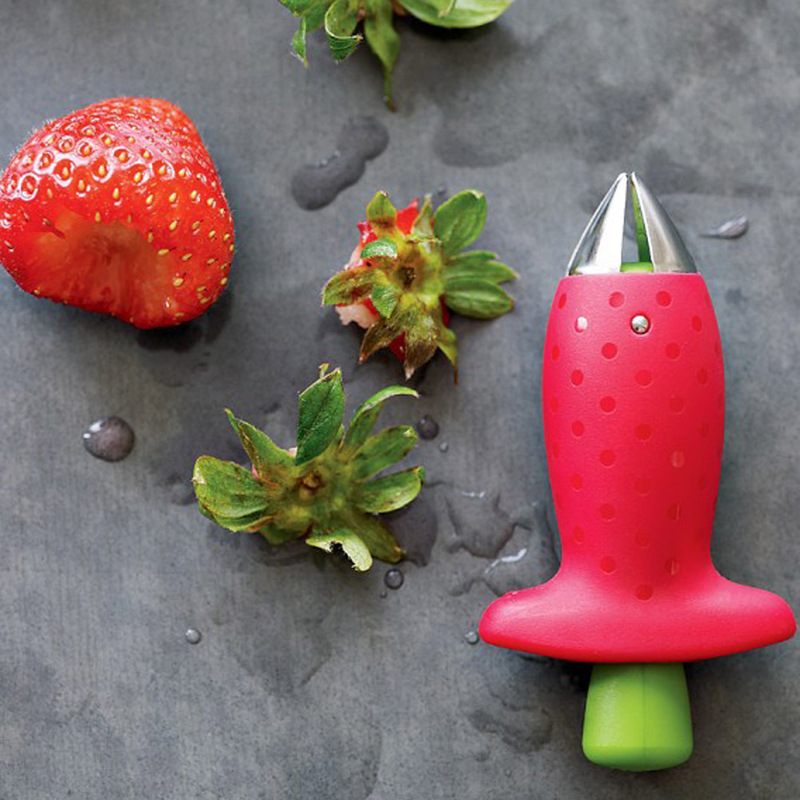 It is extremely EASY to use, simply push the button on the top, insert it into the stem of the berry, twist and pull! This tool is ideal because it works on ANY size strawberries and it also works on tomatoes and similar soft foods. Talk about value for money! It is also top-rack dishwasher safe, making it extra fuss free! Just throw it in the dishwasher once you are done. Whether it's making fresh fruit salads, strawberries shortcakes or fruits toppings for desserts, this tool is sure to cut your preparation time in half! The claw of the Strawberry Core Remover is made out of Stainless Steel, therefore you won't have to worry about it rusting. You can also get your children to join you in the kitchen without having to worry about them cutting themselves! 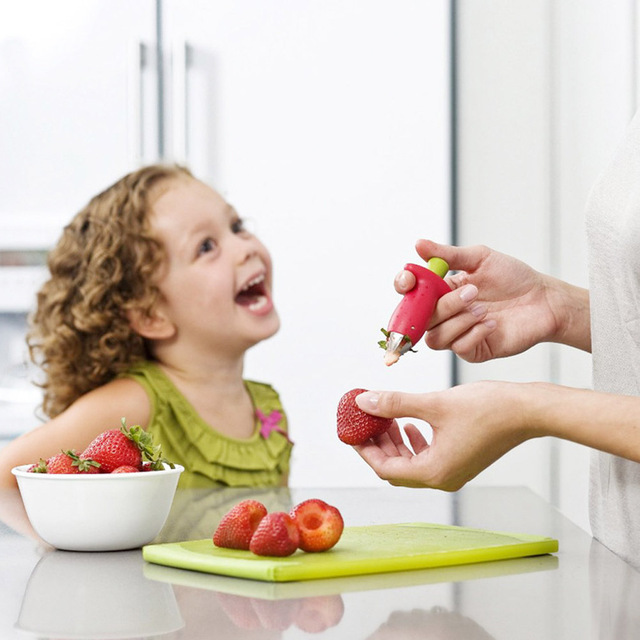 Make cooking in the kitchen an activity for your whole family to enjoy! Please note: Due to keeping the price low and high demand for this item it can take 15-30 business days to arrive for the USA and upto 40 days international.